The Tanasi Warrior was inspired by bow designs that have been around for thousands of years and present in many different cultures. These elements are blended together to produce a super-efficient, smooth-shooting hybrid longbow. 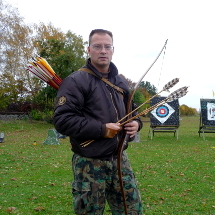 These bows are capable of speeds well over 200fps with various arrow combinations, which makes them well suited for shooting heavy hunting arrows with heavy broadheads. The bow's weight of around 18oz makes it extremely maneuverable and easy to get on target. The efficiency of the bow limbs allows the archer to drop down in draw weight poundage and still have the energy to get the job done. The Tanasi Warrior is available in various exotic wood options. Several handle grip options are available that can also be customized. 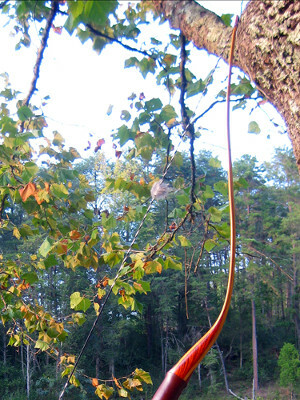 The Tanasi Warrior is available in draw weights from 25 to 65 pounds, and bow lengths from 62 to 66 inches. 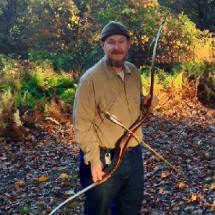 "Joe's Tanasi Warrior has a smooth draw, stability of a longbow, and the quickness of a recurve. 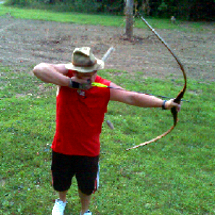 The bow is perfect for instinctive shooting." 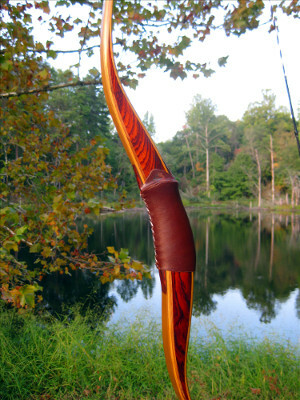 "I recently received my Tanasi Warrior and have been beyond pleased with my bow's look and feel. It shoots like a dream and I have had just about everyone who picks it up say that it is the most beautiful bow they have ever seen." 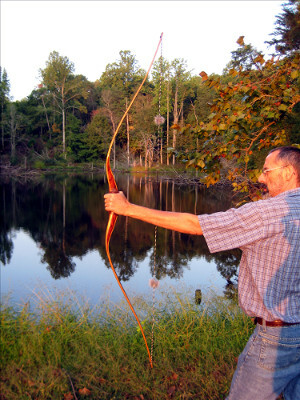 "The Tanasi Warrior long bow is a great bow. It's in a class of its own." If you would like to learn more about the Tanasi Warrior or any other bow model I offer, please do not hesitate to contact me.